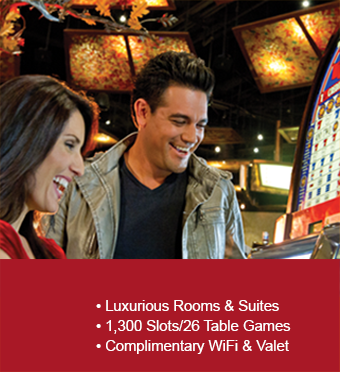 Win a Getaway at Black Oak Casino Resort! Must be 21 yrs. to enter and win. 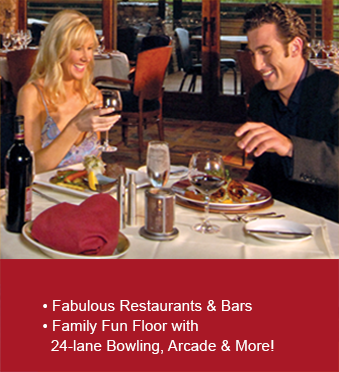 Celebrate the Great Indoors at Black Oak Casino Resort, featuring the hottest slots and table games, live entertainment every weekend and nine bars & restaurants! 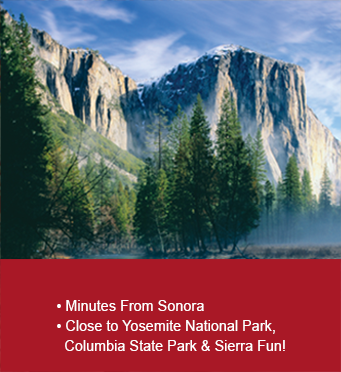 Fall in love with Gold Country and historic Sonora, enjoy the exhilarating outdoors with Columbia State Park, Dodge Ridge and nearby Yosemite National Park! Must be 21. One entry per person. One winner will be chosen each month. Prize is valid for 90 days from date won. Advanced reservations required. Prizes subject to availability and are not transferable. One prize per person for this promotion. Winner must be a Player's Club member to redeem this prize: it's free, quick & easy to join with valid ID. .May not be combined with any other offers. Management reserves all rights. Credit card is required at check-in for incidentals and security deposit. By entering this contest, you agree to receive promotional messages from Black Oak Casino Resort until/unless you choose to opt out.